One of the curious things about living in this part of Texas - well, just one and among a very long list of such curiosities - is that one encounters small graveyards all over; a quarter acre here, a half acre there, a dozen weathering and almost indecipherable markers standing up like accusing fingers under the shade of a cypress tree, embedded among suburbia - or even alongside a otherwise embarrassingly ugly commercial avenue - like whole maraschino cherries in a slab of Corsicana fruitcake. Well, I think it's curious, anyway - I never noticed anything of the sort where I grew up. That would have been in a part of southern California which didn't much offer anything of the sort, having been built up mostly after WWII. Such communities as I knew were organized according to modern principals of city planning, and in deference to a population which exploded astronomically after 1942. By contrast, in Europe, graveyards were almost always in association with churches - the local prominent citizens being given pride of place within the church itself, memorialized with ornate tombs or brasses let into the floor or the walls - all very tidy, and usually in the heart of the village, or in the city which had grown up around an original village. The Texas arrangement seems odd, at first - after these two extremes - but sensible, once considered in the context of how 19th century frontier towns grew. What with one thing and another - in-town real estate was just too valuable to use for a graveyard of any sort, extensive or not. Graveyards were on the outskirts, perhaps next to a major road, whether the town was a country seat or not. And those which had a city like San Antonio engulf them . . . as I said, this means that the old town or parish cemetery turns up in the oddest of places. 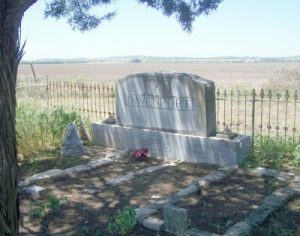 The Davenport cemetery, which is outside the 1604 Loop on the old Nacodoches Road, just after it crosses Salado Creek is one of those that we noticed at first - a dozen graves and a couple of cedar trees, a lonely view of fields and distant trees. When it was first established, there would have been nothing more than that - but suburbia creeps ever closer; originally, the Davenport cemetery was for the little settlement now called Bracken. The founder is buried there, between Wife #1 and Wife #2. 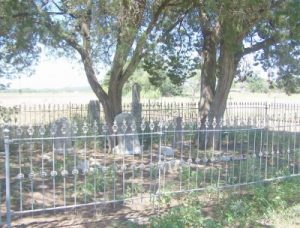 Country graveyards are full of those untold dramas - but now, nothing left but a monument, a name, some dates, maybe some information added as an extra. 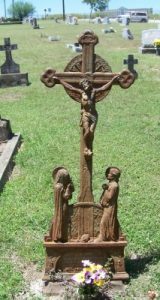 A mid-19th century grave (marked with a modern stone), of a man killed by Indians - that's in the old Catholic parish graveyard, in Fredericksburg. That particular cemetery was heartbreakingly full of the graves of babies and children; it's a wonder anything grew at all, for being salted with the tears of parents. 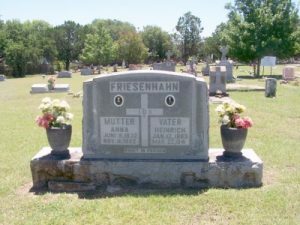 In another Catholic cemetery, on the Old Austin Road in Selma - right next to Specs' - there are many graves that speak of long lives, well lived, only a comparative handful cut short, like that of a young man in his twenties, whose friends or family had left carefully arranged cans and bottles of Bud Lite. Favorite beverage, left on last year's Day of the Dead? 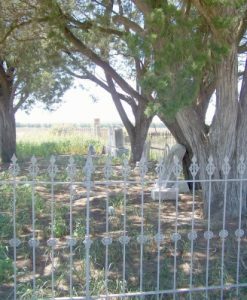 In that cemetery, and in the Wetmore community cemetery, on Stahl Road, the names are familiar - they are the names on the road-signs all around. Friesenhan, Stahl, Uhr . . . Look around - take that side street, go in through that gate. 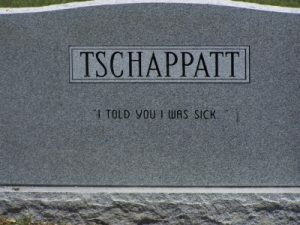 The stories there, in that little old pocket graveyard may beat anything on TV this summer.